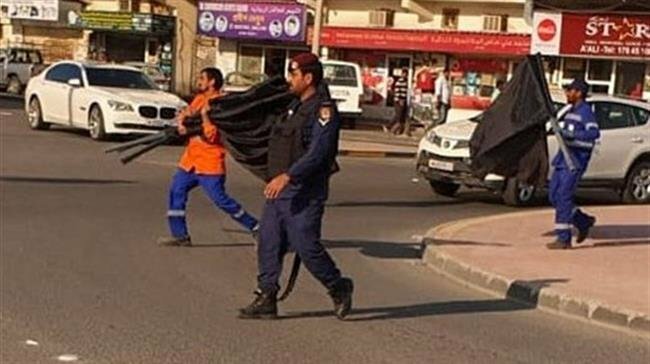 Local media said Saturday security forces removed black flags and banners put up in public places to commemorate the occasion overnight. Hazrat Fatima is an enormously revered figure, especially for Shia Muslims who view her as the foremost role model for women. Apart from being Prophet Mohammad's daughter, she is the spouse of Imam Ali, the first Imam of Shia Muslims, and the mother of Imam Hassan and Imam Hussein, the second and third Shia Imams. Her martyrdom anniversary is marked every year in several countries, most importantly in Iran, Iraq, Bahrain, Lebanon and Pakistan. Religious events held by Bahrain's majority Shia Muslims are a regular target of regime forces in the tiny archipelago in the Persian Gulf. Several Shia mosques and religious gathering places have been razed to the ground since 2011 when a popular uprising broke out in the country. Earlier this month, Bahrain's top court upheld life sentences for prominent opposition figure Sheikh Ali Salman and two of his colleagues over spying charges. Anti-regime protests have continued for years despite a brutal crackdown in which scores of people have lost their lives and hundreds of others been injured or jailed. Bahrain is a close ally of Britain, the United States and Saudi Arabia and home to the US Navy’s Fifth Fleet. In April, the United Kingdom also opened a permanent military base in Bahrain in a ceremony attended by Bahraini Crown Prince Salman bin Hamad Al Khalifa and Britain’s Prince Andrew. Britain announced in 2014 it had sealed a deal to expand and reinforce its naval presence in Bahrain, allowing it to operate more and bigger ships in the Persian Gulf.